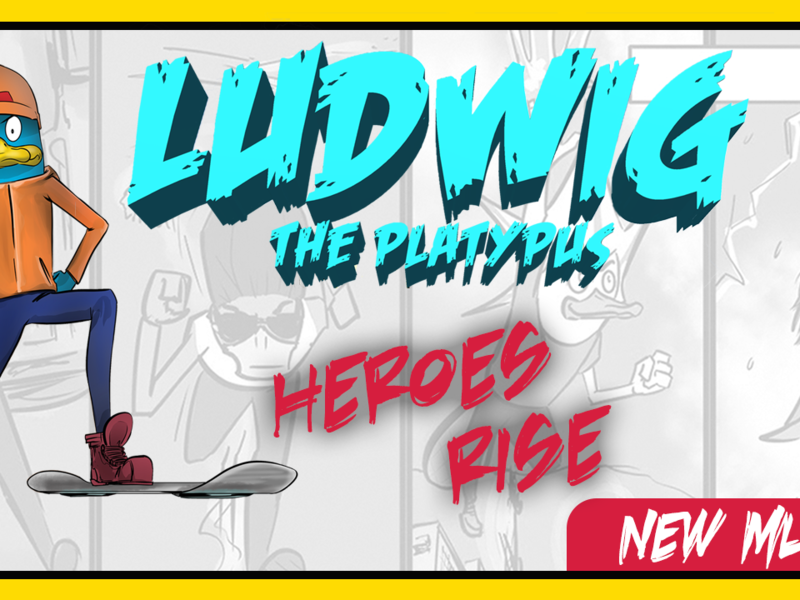 Meet Ludwig – the main hero in our upcoming comic book series. This upbeat rock orchestra piece includes strings, brass, percussion, and two rocking guitars. 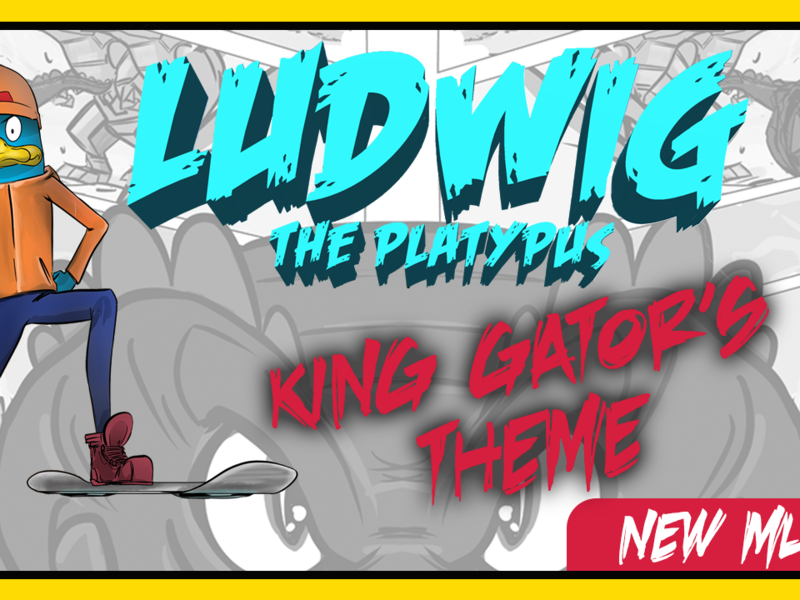 Ludwig the Platypus is our upcoming comic book series based on a teenage platypus who lives in a highly technologically advanced city called Beaverbill. Hayden has been imagining this series for several years. When he was around 8 years old, Hayden began drawing the characters, mini comic strips, and even what he imagined for book covers. Being Autistic, Hayden had limited speech and reading comprehension was a struggle for him – so drawing his ideas was how he communicated his thoughts and creativity with the world. To help bring Hayden’s vision of these characters and this series to life and enhance his reading comprehension, speech and language development, our Mom used this series as a way to help teach Hayden how to build these skills. 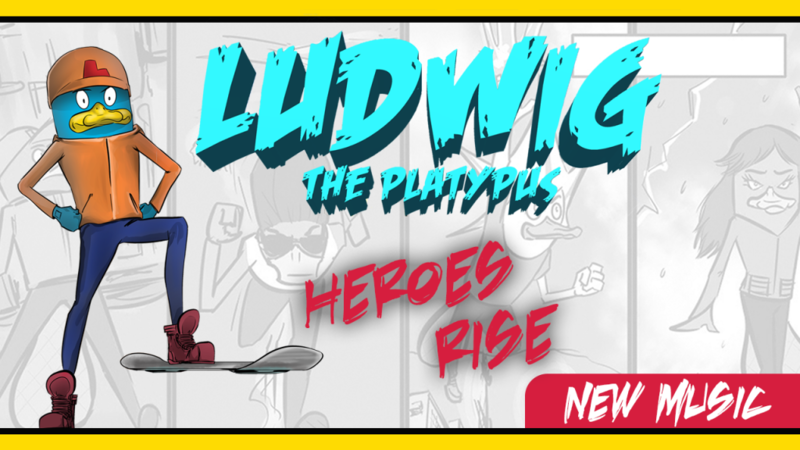 After two years of using Ludwig the Platypus as a working homeschool writing, music and communication project, we are excited to introduce our main comic book hero theme, Ludwig the Platypus. 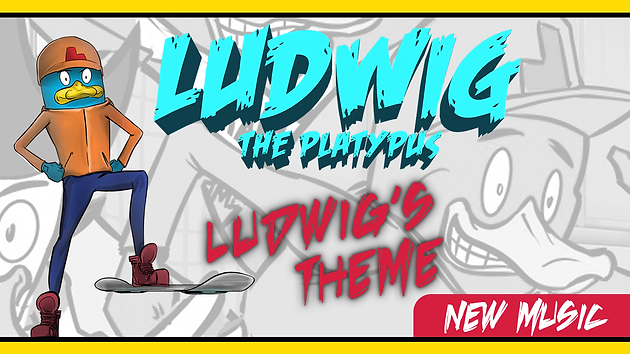 When composing the music for Ludwig’s Theme, it was important for us to have the song reflect Ludwig’s strong, smart and fun personality, as this is the foundation of our entire series. Hayden composed the concept of the main melody, and together as a team, we added on more layers to the composition. While we were developing the other compositions for this album, we began working with our music composition teacher, Willow Goodine, to commission some of our original music for his youth rock orchestras in Portland, Oregon and Seattle, Washington. You can read more on our homeschool music project here. When we introduced Ludwig’s Theme to the Portland group, we worked with one of the student guitarist, and he helped further improve our song by suggesting some guitar chords that worked with the piece. It transformed a once light song into the strong rock orchestra melody it is today. In addition to working with the guitarist, we became inspired by the talent of the musicians in the youth orchestra, and added onto Ludwig’s Theme by creating a solo section for students to showcase their talents. 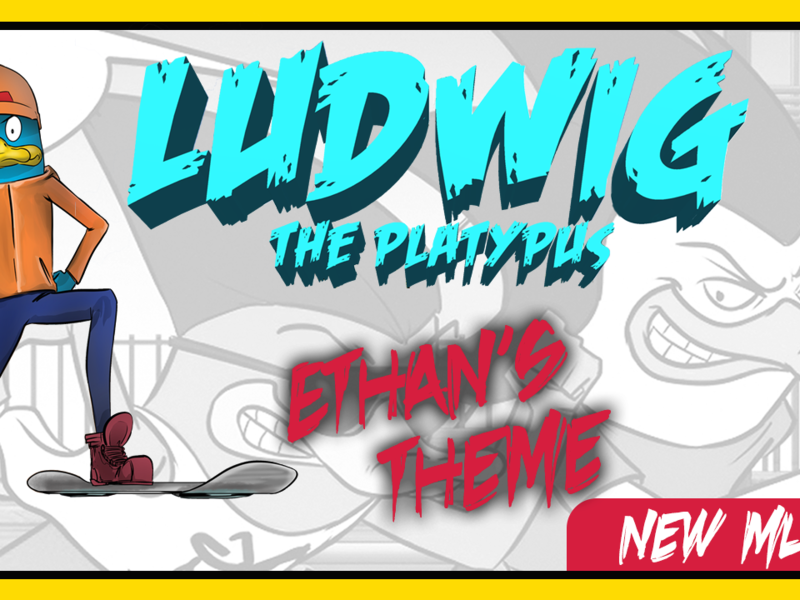 We loved this new addition so much that we added the solos into the final version of Ludwig’s Theme. Over the course of one year, Ludwig’s Theme transformed from a simple melody, into a rock orchestra composition with strong power chords, electric violin solos and jazzy brass flare. 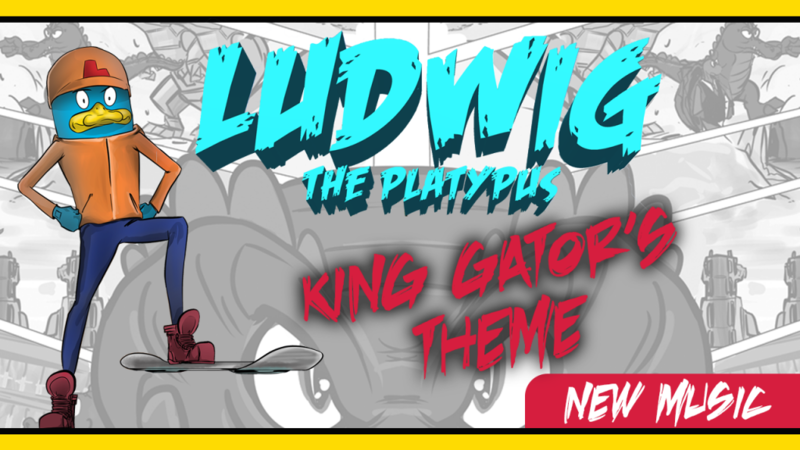 Out of all of the music we have released for the Ludwig the Platypus series, Ludwig’s Theme seems to be people’s favorite song so far. As we prepared to debut the piece through the youth rock orchestra in Portland, Oregon, we would see kids moving to the music in their chairs during rehearsals. This was entertaining to see our music come to life through the talent of the youth, and the fact that they enjoyed it made our day. 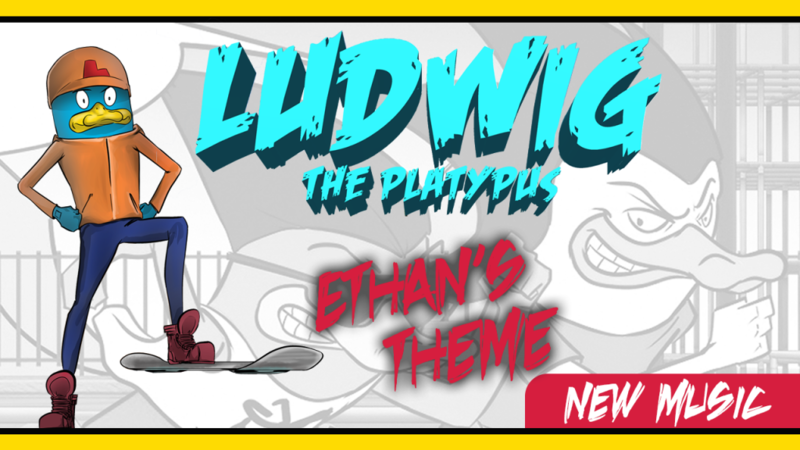 Now at age 15, Hayden finally gets the opportunity to share his creative work, showcasing his tremendous growth in communication skills, and showing the world that he has a lot to offer through the Ludwig the Platypus music, storytelling and so much more. Thanks so much for reading! If you enjoyed this music, be sure to give it a like on YouTube, and check out our other rock orchestra music from our upcoming comic series.